With fall upon us this weekend I have been busy prepping my eggs for fall salmon. This is one of my favorite times of year. 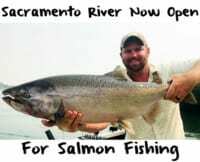 As the days get shorter and the rain starts falling king and silver salmon begin to flood into Washington rivers. 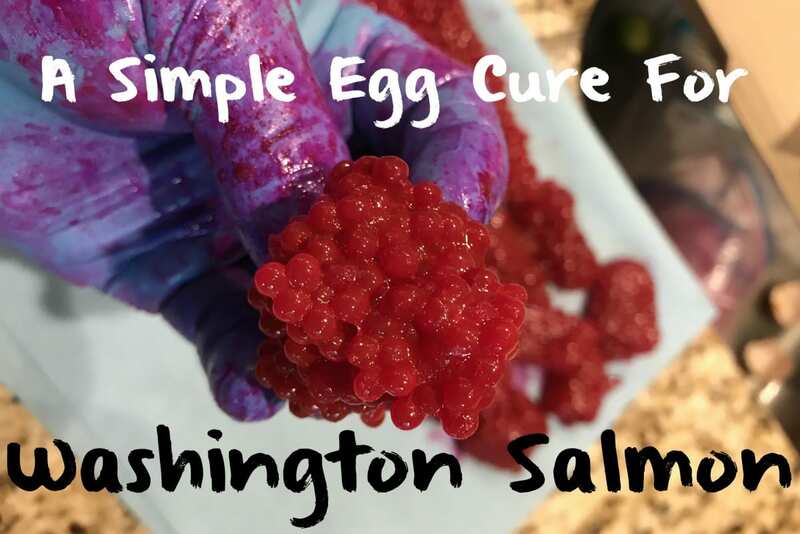 Here is a simple, yet effective way to cure eggs for fall salmon success. The first step is good preparation in keeping your eggs intact and clean. If you’re getting eggs from fish caught in the Puget Sound, or buying them secondhand, you want to keep them cool until you are ready to cure them. If you’re cleaning fish waterside always keep Ziploc bags on hand to store eggs in for the transport home. I like to bleed my fish immediately, so blood is not leaching into the eggs. That way there is little blood left to get rid of before curing your eggs. I like to scrape as much of the blood out of the eggs as possible before curing them so I can use them for winter steelhead if I do not use them all for fall salmon fishing. This is simple, but an important step. Start by cutting skeins into quarters or thirds depending on the size of them. Next, take the back of your scissors and scrape the blood vein down towards the counter on top of paper towels. Once this is done and all your skeins are cut and bled toss them into a Ziploc to cure. *On a side note, I like to fill the bag no more than halfway. This ensures a proper coating of cure and better quality egg. Now that your eggs are cut and bled you’re ready to add cure. I like to do a 50-50 mix of Pautzke Fire Cure and BorX O Fire. Don’t add too much cure or borax to the bag. I would say if you are measuring out your cure and borax it should be round about 1 to 1 1/2 cups for a half-gallon Ziploc full of eggs. A lot of people ask me why are using the two different cures. I like the sulfite properties of the Fire Cure and the way the eggs milk in the water with the borax. 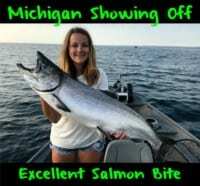 The other reason is steelhead don’t seem to like a heavy sulfite cured egg. 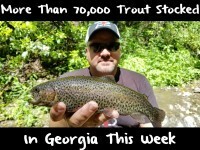 Therefore, if I don’t use all my eggs for fall salmon I can use them for steelhead later in the winter. In addition to the Fire Cure (which already has krill in it) I add an additional amount of Fire Power to my eggs for the curing process, usually about 1-2 tablespoons depending on the amount of eggs your curing. I do not think you can add too much krill. *Another tip: If you like a wetter egg try adding Fire Brine or Pautzke Nectar to the mix. When you have all your eggs in the bag with your cure seal the top of the bag leaving a lot of air in it. This allows you to tumble your eggs much easier enabling a proper coating of cure on your eggs (think shake and bake chicken). Once this is done store the eggs in your refrigerator somewhere where your wife can’t see them. As you go back to the fridge every couple hours for a new beer repeat the tumbling process allowing the cure and the liquid released from the eggs to penetrate throughout the skeins. The eggs can be fished the next morning, but I like to allow at least 24 hours of soak time in the cure before using. Editor’s Note: Mike Ainsworth operates First Light Guide Service. For more information on his Western Washington guided salmon trips please visit https://firstlightguideservice.com or https://www.facebook.com/First-Light-Guide-Service-465494153638629.